is 4 km distant from the city center (Gottschedstrasse). Within 5 or 10 min. can be reached railway, bus and tram, witch goes directly in the center. (Lindenau bus yard and Plagwitz station). There are outstanding, new cycle tracks along old Industrietracks into the center. A super market and the Karl Heine channel (hist. industrial channel) with café and rent-a-boat are quite near. 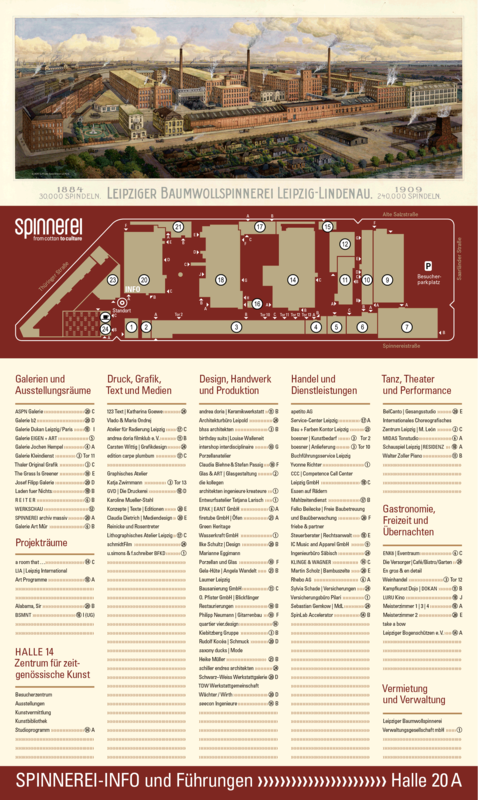 On the spinnerei area are numerous of workshops, studios, shops and galleries. In the café (across the yard) you can enjoy culinary or relax in the wonderful garden. 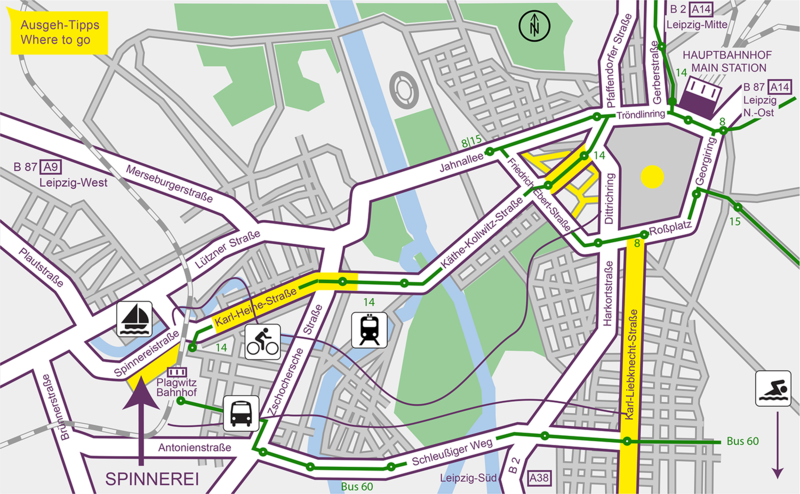 How to get to the Spinnerei?